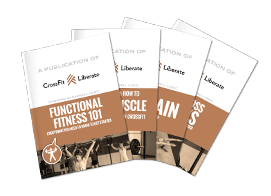 Have a friend who wants to transform their life—someone who’d enjoy the challenges and triumphs of CrossFit? Refer them to CrossFit Liberate, and we’ll reward you both! Just give us your friend’s name and email address, and we’ll send them an offer for $100 off their first month of training! When they sign up, you’ll get $100 off your next month, too. Talk about a win-win!